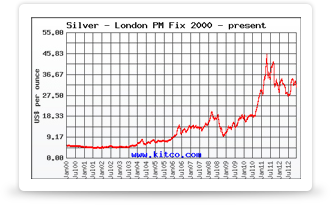 If there comes a point in time when you would like to sell your gold or silver investment, you may be wondering where you should sell it. There are many options, both online and locally. Selling locally has many benefits, as well as a few potential drawbacks. Selling locally is the quickest way to turn your gold into cash. If you sell online, you’ll need to ship your gold to the buyer and wait for the payment to arrive in the mail. When selling locally, you can often get cash the same day. If you need the cash in hand quickly, selling to a local store could be your best bet. However, many local buyers do not have the money on hand to liquidate a large collection. They are accustomed to seeing smaller collections, such as a few coins or pieces of gold jewelry, rather than many ounces of gold bullion. If you’re trying to liquidate your entire investment, call around to see who might have the means to purchase it, rather than taking it from store to store. If you plan to sell locally, you will get the best prices when selling to a coin shop or precious metal dealer, rather than a storefront specializing in the buying of scrap gold. Such shops have sprung up around the country in recent years to capitalize on high gold prices. However, they typically pay much less, targeting consumers who are not aware of what their gold is worth. As a precious metal investor, you will be better served by a gold and silver dealer than a “Cash For Gold” or pawn shop. Before selling your gold to a dealer, do your research. Determining the current spot price for gold is just a click away. Do the math to calculate the full market value of your gold. If you know what you have, you will have a better idea of what you should be getting in return. However, realize that buy prices are below the spot price of gold, as the dealer must make a profit on the purchase. There is always some difference between buy and sell prices for gold. This difference is known as the spread; keeping the spread as small as possible is the key to getting the most out of your gold. Be sure to shop around, as gold buying offers differ dramatically from one dealer to another. All gold dealers are working off the same information (the current spot price of gold) but have different spreads. Compare all of the prices offered by local dealers, and choose the buyer who is willing to pay closest to the current spot price. Don’t be afraid to negotiate if the offer you receive is less than you were expecting. There are downsides when selling in person. How do you feel about carrying around $1,000 in cash in your pocket? How about carting around several ounces of solid gold? Having to carry your precious metals around town as you visit gold buyers can certainly feel risky. Selling locally also tends to be less anonymous than selling over the internet. If you wish to protect your privacy, you may want to split up your bullion, selling just a few coins at each store to create the appearance of having only a small collection of precious metals.